Winner’s Circle account or join the loyalty program from within the app. product assortment and make purchases directly through the application. 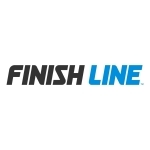 For more information about the new Winner’s Circle app, visit www.finishline.com/app. app downloadable for iOS and Android customers.